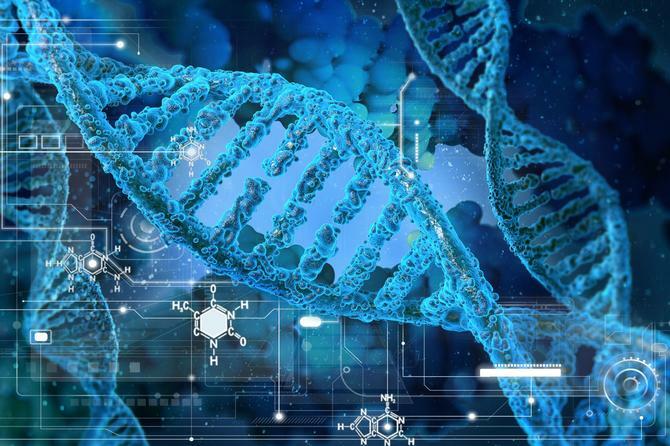 ‘Genetic marketing’ is the next big thing, with marketers gaining access to DNA test results seen as the new frontier of targeting and hyper-personalisation. With more than two million Australians having already had their DNA tested, 10 per cent of the population, and the ancestral travel industry booming as a result, marketers are excited. And rightfully so. Almost half (49 per cent) of Australians who have had their DNA tested would be interested in receiving marketing information based on their DNA results, according to the YouGov Galaxy Predictors 2019 Study, commissioned by Red Agency. Executive director of Red Agency, Jackie Crossman, said marketing to an individual’s DNA is the new age for marketers and the ultimate in person-to-person (P2P) communications. “With two million Australians already having their DNA tested and the majority saying they are open to offers tailored to their results, there are huge opportunities for marketers to leverage this incredible bank of business intelligence. Those who do so first, and do it well, will gain a significant first-mover advantage,” she told CMO. Across generations, millennials (63 per cent) are much more receptive to post-test marketing compared to Gen X (44 per cent) and Baby Boomers (39 per cent). Almost one in five people (19 per cent) also want to hear about the health insurance product most suited to their DNA. Millennials were the most receptive (25 per cent), compared to Gen X and Baby Boomers (both 15 per cent). According to the study, learning where our ancestors came from (44 per cent) was viewed as the second biggest benefit of DNA testing, and those with a DNA test under their belt are far more likely to want to receive offers about travel tours based on their ancestral history (22 per cent). Harnessing this, Mexico’s national carrier, Aeromexico, went viral this year with its politically charged ‘DNA discounts’, offering discounted flights from the US to Mexico to Americans who showed by taking a test they had Mexican DNA. Younger generations and those who have been DNA tested are the most open to marketing offers: 70 per cent of the already-tested would welcome offers related to their results. Those already DNA-tested are more likely to want to receive offers about travel tours based on their ancestral history (22 per cent), the type of chocolate they might like (20 per cent) and low shedding pets if they had a fur allergy (19 per cent). This was compared to those who haven’t yet had their DNA tested, but who are interested in doing so (13 per cent, 8 per cent and 11 per cent respectively). Health-focused offers are the most keenly sought marketing information among both the already tested and the interested in being tested. About one in three from both groups would be happy to receive ideas for low-fat foods if they were pre-disposed to weight gain (33 per cent for already tested, 29 per cent for interested in being tested). One in four would welcome recipe ideas for food allergies and intolerances (25 per cent for tested, 29 per cent for interested) and the health insurance policies best suited to their DNA (25 per cent for both groups). There are already potential around three key areas initially, the report says: Healthcare, education and travel. As an example, the report noted Arivale, a Seattle-based startup, that offers a wellness package based on genetic testing combined with lifestyle coaching, including diet and exercise recommendations. Identifying potential health risks (55 per cent) was seen as the number one benefit of DNA testing, according to the report. Of course, the privacy and ethical implications of genetic marketing need to be considered carefully. But most consumers are willing, at least in principle, to hand over their personal data for a better customer experience, so why not DNA as well? According the report, more than half of people are concerned about DNA falling into the wrong hands (53 per cent), being exploited by health insurance companies for higher premiums (40 per cent), or turning us into a target for identity theft (38 per cent). One in four Millennials and Gen Xers worry they could be cloned without their knowledge, and 20 per cent of Baby Boomers are worried about this. Interestingly, 38 per cent Australians are concerned their DNA could be used for marketing purposes. As genetic marketing becomes more mainstream, millions who owns, and who can access, their DNA test, and just how much they are willing to share for personalisation. “Genetic marketing is an exciting new strategy to complement, not replace, other marketing strategies. It has immediate opportunities for those in healthcare, travel and tourism and education,” Crossman said. “I’m sure DNA testing companies, like Ancestry, would be very interested in working with brands to commercialise their DNA banks however privacy legislation applies to DNA the same as it does to any personal information. Individuals will have to opt-in to receive offers." The main implication is complying with privacy legislation. "Marketers will need an individual’s consent before communicating," she added. “Before offering up their DNA for testing, people really need to scour the terms and conditions so they know what they’re signing up for."